It's also the story of a long-haul trucker, the love of his life taken in a fit of violence, and his personal road to redemption. Deke Larch is a road dog. 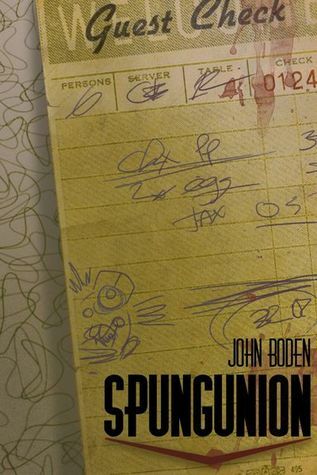 John Boden tells his story with panache and gusto. Set in a world of rednecks. When Deke returns from an overnight run to find his wife, Lucille, dead in the bed of their trailer, he begins a strange quest to learn the truth. Even questioning his own guilt or innocence in the process. I loved the story of how Deke and Lucille met in the diner and it was truly love at first sight. Yes, it does actually happen sometimes. Their love was powerful and you can feel the weight of Deke's grief in the way Boden describes the character's loss. "Deke sat in the truck and gazed out at the cemetery. His pap had always called them 'bone gardens.' The morning mist rose in finger curls from the crisp grass. The leaves were starting to change on the trees and a few early suicides littered the ground." Then there are the clever head-nods to other popular horror writers. 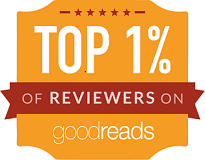 A joy for constant readers, like myself and you, if you read these reviews. "Yardley, Lutzke and Janz were like department store mannequins." Then there's Sheriff MacLeod, another author reference, for sure. From the author's bio. John Boden lives a stone's throw from Three Mile Island with his wonderful wife and sons. A baker by day, he spends his off time writing or watching M*A*S*H re-runs. He likes Diet Pepsi, cheeseburgers, heavy metal and sports ferocious sideburns. While his output as a writer is fairly sporadic, it has a bit of a reputation for being unique. "Jon Dangle is a keeper of secrets, many of which are buried deep below his dealership." Antoine DeWitt is having a bad day, and it's about to get much worse. Good jobs are hard to come by, particularly when you've only been out of prison for a couple of years. But when your redneck boss is singing the praises of President Trump and denigrating the prior President with racial slurs, well there's only so much a man can take. Newly unemployed, with a wife and infant child, Antoine is pressured into responding to a "Money Carlo" mailer from a car dealership which seems to indicate he's a $5,000 cash prize winner. I'm sure you've seen the likes of these contests, where it looks like you've won a significant prize. A big screen TV maybe or even a cash award. There have been times when my wife and I read all the fine print and were convinced we were big winners, but even then we stayed away because it's like they say, "If it's too good to be true..." After reading Broken Shells, I'm pretty sure Antoine wishes he would have stayed away, too. "The pain was immediate as his ear was ripped away from his skull, blood sheeting down his neck and leaking into the gap between his body and the shell that held him in place." I don't think I've given too much away, after all, the title reveals quite a bit Broken Shells: A Subterranean Horror Novella. Michael Patrick Hicks has combined a common sales technique with a number of Native American legends and given it all a dark and nasty twist in a novella I won't soon forget, mostly thanks to the nightmares I've already had. 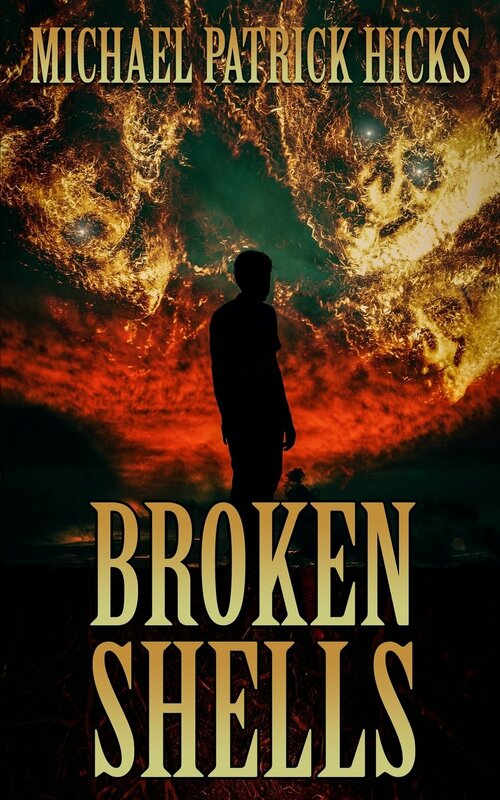 Broken Shells: A Subterranean Horror Novella is now available for pre-order from High Fever Books. 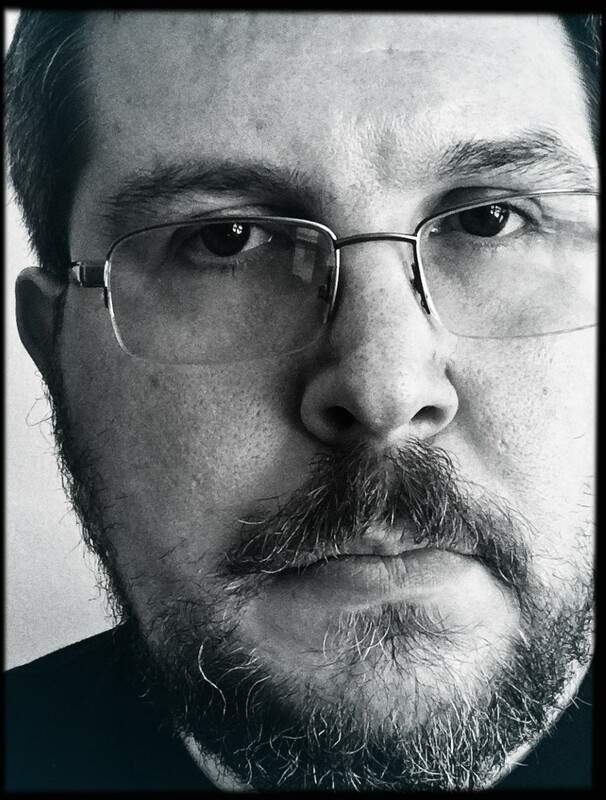 From the author's bio - Michael Patrick Hicks is the author of a number of speculative fiction titles. His debut novel, Convergence, was an Amazon Breakthrough Novel Award 2013 Quarter-Finalist. Prior to Broken Shells, his most recent work was the horror novel, Mass Hysteria. He has written for the Audiobook Reviewer and Graphic Novel Reporter websites, in addition to working as a freelance journalist and news photographer. One of the first, maybe even the very first, work of subterranean horror I ever read was in a high school literature course, with the assignment of Dante’s Inferno. In this 14th Century epic poem, Dante journeys through the nine circles of Hell lying at the center of Earth. Dante’s depictions of Minos and Cerberus, the deprivations and tortures and violence of the sinners lost within proved to be a lasting influence. Even before then, though, at a much younger age, I was fascinated with the world beneath our feet. I’d dig around in my mother’s rosebush garden to pull up worms and hunt for roly-polies, snails, and slugs, marveling at the abundance of life just scant inches below the topsoil. Although I never had one, ant farms and the prospect of their underground colonies got my childish imagination going. The idea of so much life, and so many different kinds of critters, living under our feet was (and, I must admit, still is!) awe-inspiring. As I got older, though, I began to wonder about the darker side of things. I am a horror writer, after all. Worms and slugs are neat, but what else could be down there? Life is so myriad and complex it seems quite likely we have only begun to scratch the surface of discovery, and every day we find new species and organisms alive and thriving in environments we previously had deemed uninhabitable. What else is down below, deep underground, living in the dark? More pointedly, what potential evils lurk beneath us, what secrets are buried and exist below the surface? And, in the case of Broken Shells, to what lengths will people go to protect such a secret once discovered? Plenty of myths have sought to explore similar questions throughout all of human history. Subterranean horrors have long been the source of many legends and fairy tales, and one such myth, in particular, played a significant role in shaping the plot of Broken Shells. I won’t spoil the fun here, though. You’re going to have to read the book to find out that story! 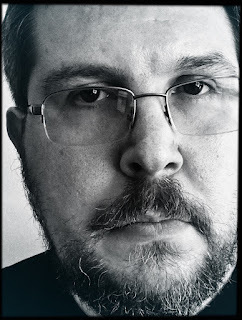 Michael Patrick Hicks is the author of a number of speculative fiction titles. His debut novel, Convergence, was an Amazon Breakthrough Novel Award 2013 Quarter-Finalist. His latest release is the subterranean horror novella, Broken Shells. I am happy to report that there is not a bad story in this entire anthology. Sure, some are better than others, but each original story has its own unique twist to the ghost story trope. It's been a long time since I've read a good ghost story and this collection has filled that void nicely. Knock, Knock Artwork by Kali Moulton - One of a few selected art pieces to accompany the stories in this collection. The Thing With No Face by Peter N. Dudar - A wonderful start to this anthology of ghostly tales. A return to a childhood home causes Kevin Ellis to remember a tragic day. "But the thing standing directly in the center of the lawn was loathsome; a silhouette of spindly white arms and legs that fluttered in the hot pre-dawn breeze like a frayed flag. The apparition floated in defiance of the tangible things surrounding it, as if it somehow wanted to find the same permanence but could not." Lost Boy by Bracken Macleod - Tale of the ghost of a boy who once was. Bracken succeeds in building the suspense in his contribution to Wicked Haunted. Scrying Through Torn Screens by Patricia Gomes - One of a few poetry selections in the anthology. They, Too, Want to be Remembered by KH Vaughan - The nightmares in this short would be funny. if they weren't terrifying. "But I am not so fortunate. I wake with a start to the sound of destruction and mayhem. There are horses in my apartment, crashing through the windows and rearing high enough to scrape the ceiling with their hooves. My coffee table and flat-screen are toppled and smashed beneath sharp hooves. Their eyes are wild and rolling. This time I am not dreaming." Everything Smells Like Smoke Again by Curtis M. Lawson - Another above average ghost story as evidenced by a glowing cigarette. I loved this story. The Boy on the Red Tricycle by Dan Szczesny - An effective story about Sam and the ghost who becomes like a son to him. Trust me when I tell you this story does not end well for anyone. East Boston Relief Station by Paul R. McNamee - A kidney stone, a GPS pointing in the wrong direction, and a ghost in the East Boston Relief Station. Mouse by Larissa Glasser - Loved this ghost story with a transgender theme. Told from the point of view of the ghost. Larissa has created something special with her contribution to the anthology. The Walking Man by Matt Bechtel - Not all ghosts are dead. A story with a terrific twist from one of my favorite writers. My Work is Not Yet Completed by Nick Manzolillo - A wildly imaginative telling of the story of the ghost of Samuel Clemens. Ghosts In Their Eyes by Trisha J. Wooldridge - Poetry is not my thing, but Tricia uses the format to tell a wonderful story. They Come With the Storm by Dan Foley - Lost love and ghost-laden storms make for one creepy tale. Turn Up the Old Victrola by Tom Deady - Tom Deady is becoming one of my go-to writers for entertaining stories. Last year he was awarded a Stoker for his debut novel, Haven, and I just read his new novella, Weekend Getaway. Here he tells a wickedly entertaining tale of a haunted victrola. Ghost Maker by Emma J. Gibbon - Asking the poignant question, if you get an abortion, do you create a ghost. The Pick Apart by Paul McMahon - Another effective ghost story involving a girl killed in a bridge collapse. The Stranding Off Schoodic Point by R.C. Mulhare - Story of an apparition at sea. A tale with a lovely twist. Triumph of the Spirit by GD Dearborn - Life as a ghost through the eyes of the spirit Wonderfully told. The Road to Gallway by Rob Smales - I loved this story and its wonderful twist. Tripping the Ghost by Barry Lee Dejasu - An odd story of bodies, mushrooms, and, of course, ghosts. we’re all haunted here by doungai gam - A touching and heart-warming story told by a new ghost. I just loved this line in Gam's story. "The living claim they’re the ones haunted by ghosts, but those of us already dead are every bit as haunted by the ones we left behind." Murmur by Jeremy Flagg - Witches using magic and computers to communicate with the dead get more than they bargained for. Pulped by James A. Moore - A great way to end the anthology. When it comes to James A. Moore, I'm admittedly a bit of a fanboy. This is a wonderful story of an early superhero now a ghost seeking revenge. As I was writing this review, I was reminded how much I enjoyed reading this anthology. So many great stories from familiar authors and authors new to me. As a reader, you can't ask for more than that. 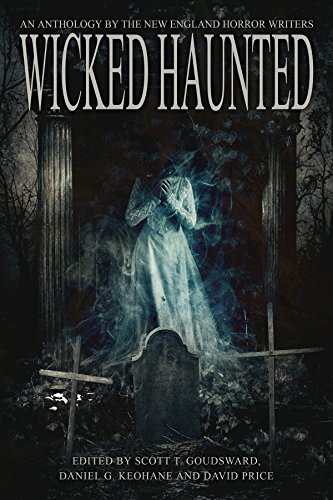 Published by NEHW Press, Wicked Haunted: An Anthology of the New England Horror Writers is available in both Paperback and E-Book formats. 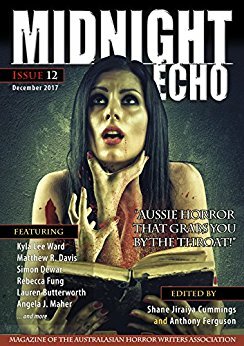 Midnight Echo 12 marks the rebirth of the Australasian Horror Writers Association's signature magazine. Issue 11 was published more than two years ago. It's nice to see its return, not just because it's an important venue for Aussie writers, but because it represents speculative fiction at its finest. I'm going to comment on just a few of the standout stories in this issue. Stories like EFFIGIA MALO by Angela J. Maher. I was also impressed with a delightful little ghost story called, WAR GHOST, and OLD MAN RED GUM, a tale of an ancient tree and its dark history. But, the best of the bunch comes at the end of the magazine as Matthew R. Davis tells the story of lost love. Really lost, as in never existed. But the lead character remembers his love clearly and he even gets a Christmas gift from her. A mixtape made when they were still dating. The rest of the story is told in a series of flashbacks, one for each song on the tape. Terribly clever and then there's the big reveal at the end. Perfectly told. Go read AN IMPOSSIBLE GIFT. Midnight Echo 12 is a nice blend of fact and fiction and includes several award-winning shorts in this issue. Welcome back and don't stay away so long this time. Midnight Echo 12 is published by the Australasian Horror Writers Association and is available in Kindle format. If you subscribe to Kindle Unlimited you can read it at no additional charge. Also, if you are an Amazon Prime member you can read it for FREE using the Kindle Owners Lending Library. What Hides Within takes off at a torrid pace and barely lets up for a minute before it's exciting conclusion. Clive stared under the bridge, intending to view the travel conditions beyond it. What he beheld was as magnificent as it was unnerving. His mouth dropped open in awe of the animalistic artistry. In the cool, damp darkness, an intricate mass of webbing sheathed the bridge’s undercarriage like a drape woven in silk by the most skilled of weavers. Its beautiful yet ominous patterns served as a warning to weary travelers who dared attempt passage. This is no place for humankind. Of course, Clive is not deterred and he'll certainly live to regret his boldness. When his kayak overturns in the murky water, his ear is left waterlogged, and as if that isn't bad enough, he soon begins to hear a lone voice in his head. Jason Parent masterfully lays on layer after layer of intricate storytelling, weaving a masterful web and an entertaining tale. A tenacious page-turner which only requires the reader to check their disbelief at the door and enjoy. I found What Hides Within to be clever, at times comedic, and at times very dark. 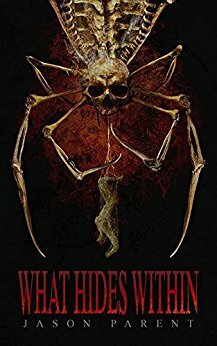 What Hides Within is currently available in both paperback and Kindle formats from Bloodshot Books. If you subscribe to Kindle Unlimited you can read it at no additional charge. Also, if you are an Amazon Prime member you can read it for FREE using the Kindle Owners Lending Library. 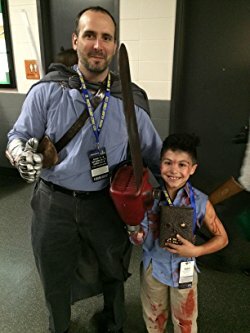 In a prior life, Jason spent most of his time in front of a judge . . . as a civil litigator. When he finally tired of Latin phrases no one knew how to pronounce and explaining to people that real lawsuits are not started, tried and finalized within the 60-minute timeframe they see on TV (it's harassing the witness; no one throws vicious woodland creatures at them), he traded in his cheap suits for flip flops and designer stubble. The flops got repossessed the next day, and he's back in the legal field . . . sorta. But that's another story. Several people have asked me why I am re-releasing What Hides Within, especially those who liked the story and didn’t want to see it altered. I like the story too, but its former presentation did not live up to its full potential. It’s no secret I never liked the original cover. Beyond that, every work I have released since has been meticulously edited. What Hides Within was years in the making, and the final product looked as though I rushed to publication. The truth was that I had spent a fortune in editing from editors I shouldn’t have been using, and my own knowledge of both writing and publishing were not where they needed to be. Don’t get me wrong, I am extremely happy for the opportunity my first publisher gave me. It was an invaluable learning experience essential to my growth as an author. Maybe you’ve seen an original copy of Stephen King’s The Gunslinger. It’s a beautiful book, but it’s riddled with errors. In later editions, these errors disappear. And why not? If you have an opportunity to fix something, you’d be a fool not to. Now, I’m no Stephen King. I know that. But I’d like to think I strive for his same high standards. So when my contract was up, I pulled the book from market and signed on with Bloodshot Books, where I believed What Hides Within could see a brighter future, knowing what I now and should’ve known back then. through additional edits from both myself and people I trust. I kept the voice of the novel – the sarcasm and the humor – the same but streamlined some of the action and cut out the excess. cover and the story I intended. Sure, even with the new version, Bloodshot and I hit a few stumbling blocks on the road to publication as is the story with every book. But we overcame those quickly and produced a stand-alone novel I’m proud to have my name on. And now that I am happy with the story, I am ready to continue it. Expect a spinoff this year. This story from Glenn Rolfe may be short on words, but what it lacks in size, it makes up for in violence. She loved damage. She loved scars. She loved anything beautiful and broken. The Lucky Lounge Motel served as the feeding ground for her biggest passion...murder. Welcome to Paradise - A short Story of Brutal Love is lurid, vicious fun with a wonderful twist. Don't miss it. Welcome to Paradise - A short Story of Brutal Love is a self-published short story and is currently available for the Kindle. If you subscribe to Kindle Unlimited you can read it at no additional charge. Also, if you are an Amazon Prime member you can read it for FREE using the Kindle Owners Lending Library. From the author's bio - Glenn Rolfe is an author/singer/songwriter from the haunted woods of New England. He has studied Creative Writing at Southern New Hampshire University, and continues his education in the world of horror by devouring the novels of Stephen King, Ronald Malfi, Brian Moreland and many others. He and his wife, Meghan, have three children, Ruby, Ramona, and Axl. He is grateful to be loved despite his weirdness. 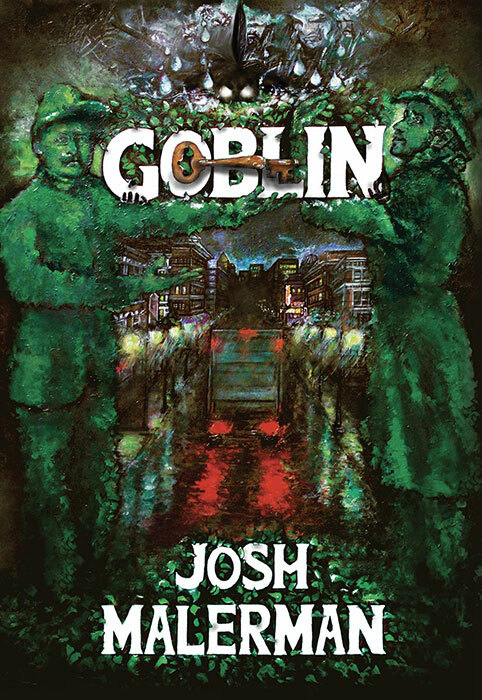 Goblin: A Novel In Six Novellas is the thirteenth book in Earthling Publication’s annual Halloween Series. Featuring an introduction by James A. Moore, Cover artwork by Allison Laakko, and Interior artwork by Glenn Chadbourne, Goblin is indeed a very special book. I know I said the story was told in six novellas, but we mustn't forget the Prologue - And a very important delivery to Dean Crawford in Goblin, MI. A delivery that must take place between Midnight and 12:30. The prologue was just a tease of things to come, albeit a pulse-pounding one. What follows is a series of compelling tales of life in Goblin. A Man In Slices - A story where we learn quite a bit about the strange history of Goblin, including how the people of the town are buried standing up And then there's Charles Ridnour...a man whom women avoided on sight, on instinct, despite his not having spoken to them at all. A young man who wants to prove to his long-distance girlfriend that they have “legendary love,” better than Vincent van Gogh, so he sends her more than just his ear. Kamp - Walter Kamp is scared of being scared to death by a ghost and sets up a series of “ghost traps” all over his apartment, desperate to catch one before it can sneak up on him. Happy Birthday Hunter! - Big game hunter Neal Nash throws a lavish sixtieth birthday party for himself but leaves when he becomes obsessed with killing a Great Owl, a protected species in Goblin. But the North Woods are anything but friendly. Presto - In the pages of Presto magazine, a young boy reads that his favorite magician, Roman Emperor, is coming to town. She knew all about how magicians had their secrets, secrets they don't share, but there was something different about this show. Something terrible. Something scary. A Mix-Up At the Zoo - Dirk Rogers works full-time at the Hardy Carrol Goblin Zoo, as a tour guide, and he also works part-time at the Goblin Slaughterhouse. What could possibly go wrong? The Hedges - When young Margot solves the mystery of the Hedges there's a chase between the Goblin police and the owner of the Hedges which leads directly to the terrible North Woods. The book ends with a satisfying conclusion to what began in the prologue. Goblin was fun, unexpected, and filled with the sort of prose that makes one want to slow down and savor every word. I also thoroughly enjoyed the interior illustrations from artist Glenn Chadbourne. From the author's bio...Josh Malerman is an American author of novels and short stories. Before publishing his debut novel Bird Box with ECCO/HarperCollins, he wrote fourteen novels, never having shopped one of them. Bird Box was released in 2014 and many short stories and novellas have followed.